Ideas for extra revenue for your studio. Serving balletteachers and balletschoolowners around the world. Not enough income from your group classes? As a balletschool your main focus are ballet classes to groups of students. I have been there. However, there are a few things you can do, to get that extra money in. And get a better and healthier cashflow for your business. Get those extra revenue streams in place. Idea number 1: Organise and sell kids birthday parties. This first idea is obviously very handy when you are managing a school or studio, where your main students are children. You will see that this will be a big hit. There are a lot of kids out there who would love a ballet themed or princess themed party. And their moms will love it, if you can host it at your location. Book it for 3 hours. First hour for getting in, cake and lemonade and opening presents. Second hour or hour and a half for dancing. According to the theme of the birthday girl or boy. And end with some more lemonade. Let the kids change back in their regular clothes. And let the parents pick them up again. The dance mom will love you, because for them it is hassle free. And they are not stuck with all the mess. You are. Eh, a small price to pay. For correct and friendly pricing of such an event, investigate what other kids party events are available around your studio. Usually a cinema, swimming pool or workshops for kids. See what their prices are and choose your price accordingly. Also,keep in mind what your location and teacher/party leader costs and bring that into the total sum. Plan and sell ballet themed birthday parties. Idea number 2: Sell merchandise. Yes, this will be an investment. And yes, you will need to do research to find a supplier of the merchandise you want to sell. But, if you are a school or studio with a loyal following, then this idea is worth your while. First determine what you want to sell. T-shirts, sweaters, mugs, bags. Ask your customers what they would love to own with your schools’logo on it. Don’t go and order stuff to only find out nobody is interested in it. First, ask around. For instance, if you have a group that performs a lot, make t-shirts or sweaters. And, obviously, let them wear them at any event they dance at. Which brings us to idea number 3. Compagnie Violetta in their team t-shirts. Idea number 3: sell choreography and perform. Firstly, do research and see what kind of events are coming up in your community. A concert by a musical ensemble, a dinner for charity, a reception at city hall, an opening of an art gallery? Perfect. Contact the organizing party and ask if they have an interest in dance performance, just for their event. This will ask some creative thinking on your part, but you can do this. Make it special and one of a kind. Ask for a meeting and give them a tip of your beautiful plan to make their event even more special. 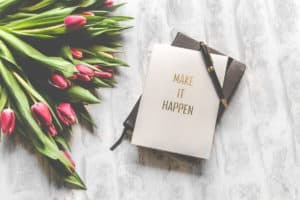 Yes, this will take time because you will be negotiating back and forth and have to up your selling techniques. But, when there is a connection with the organization and they are willing and you see eye to eye, it can be wonderful. Make sure you calculate in advance how many hours it will take you to make the choreography, teach it and rehearse with your dancers. And establish a fee for the performance. Make sure you communicate and negotiate this beforehand, just to prevent unpleasantness. And never do this for free, just to get publicity and name recognition. Publicity and name recognition will not pay your bills! Establish yourself as a legit business and not a hobby, from the start. 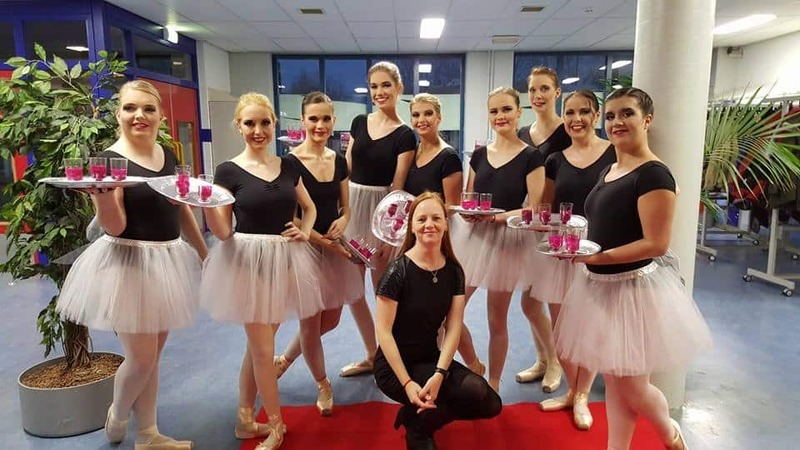 Me and my beautiful ballerinas of Compagnie Violetta, performing at a diner dansant. That’s it for now. We will discuss more ideas for extra revenue in another post. Previous: Previous post: 4 reasons to participate in your dance recital. Next: Next post: How to pick the right music for a balletclass. How to pick the right music for a balletclass. 4 reasons to participate in your dance recital. CoolibriDance has a new, fantastic promo-video. © 2019 Ballet Consultant. Built using WordPress and OnePage Express Theme.